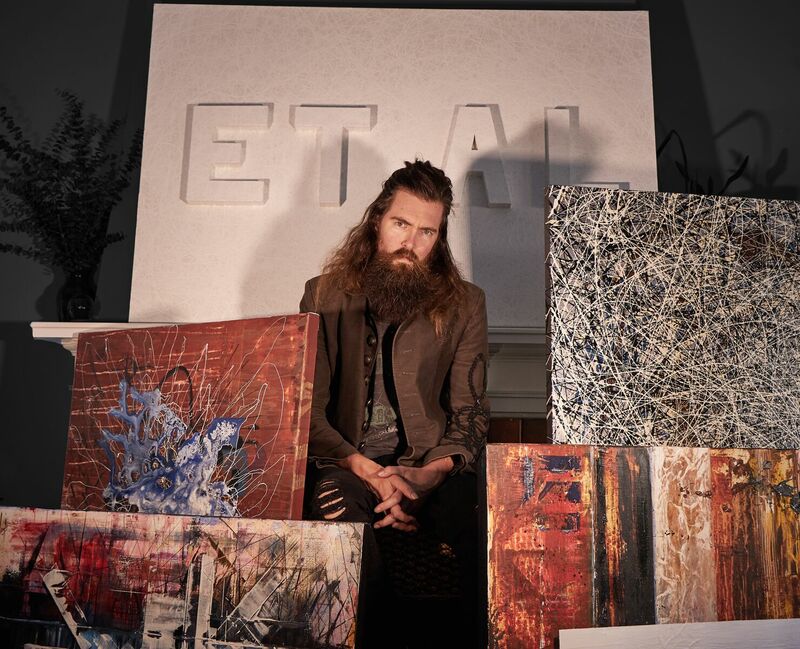 A Los Angeles based artist, Beard Bates returns after having lived in a self-imposed reclusion from the record industry and perhaps life in general. Bates–foremost a prolific musician, writer, abstract painter and designer–has worked with many, produced and recorded much music, for both others and himself, and has been releasing records since the late 90s with various rock, roots, and experimental acts he has formed and or been a part of. 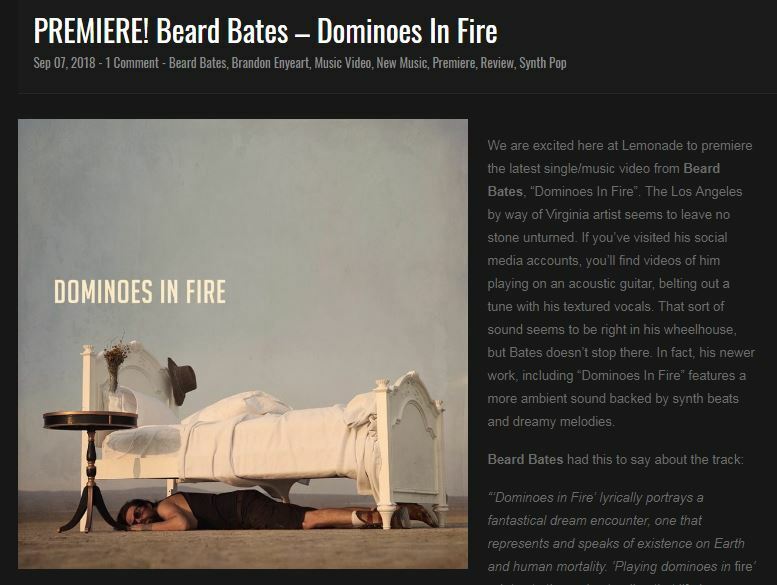 Beard Bates is an intriguing name to watch in the music world. 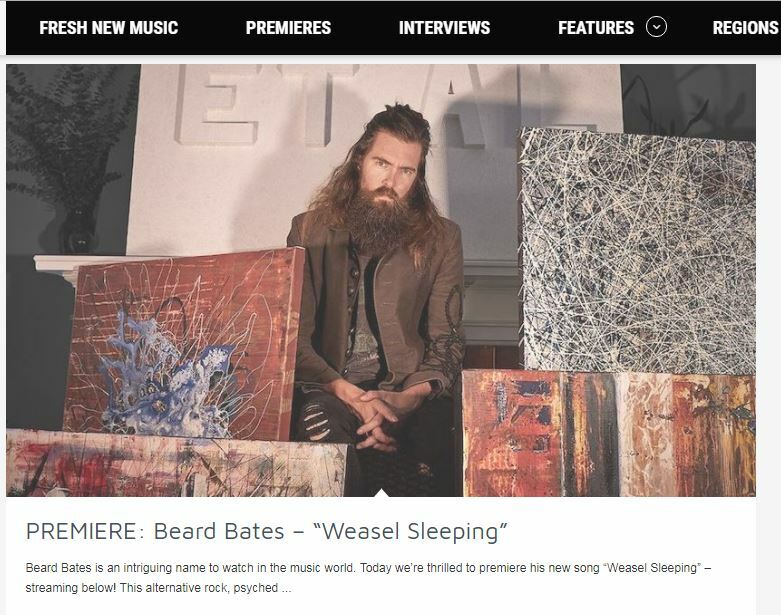 Today we’re thrilled to premiere his new song “Weasel Sleeping” – streaming below! This alternative rock, psychedelic western track was recorded in collaboration with The Real Spooky Wilson, an outfit that features Bates, drummer Kevin Figueiredo (Extreme, Perry Farrell, Chester Bennington, Tantric, Slash) and bassist Chris Mckee. The song jumps out at you immediately and is driven by his unique vocals. This one you’ll want to play, then play again, then play even louder to really get the full effect with the lyrics….et al. 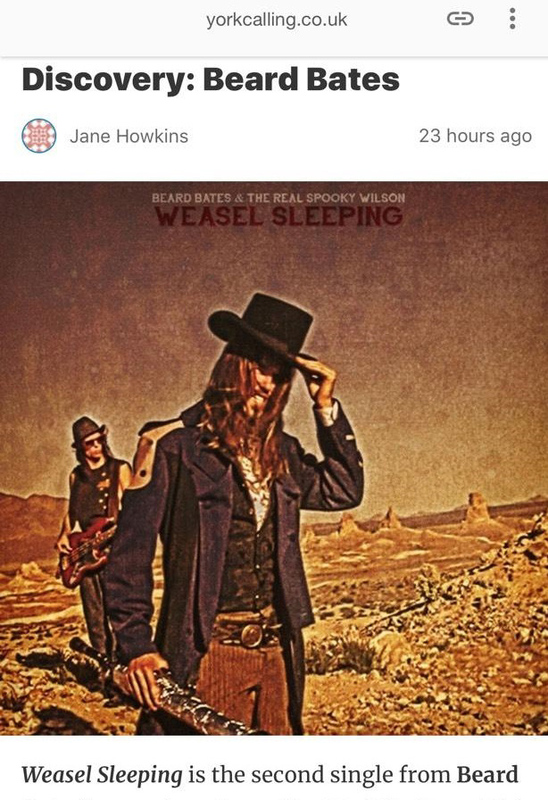 Weasel Sleeping is the second single from Beard Bates’ upcoming album The World is Blown. 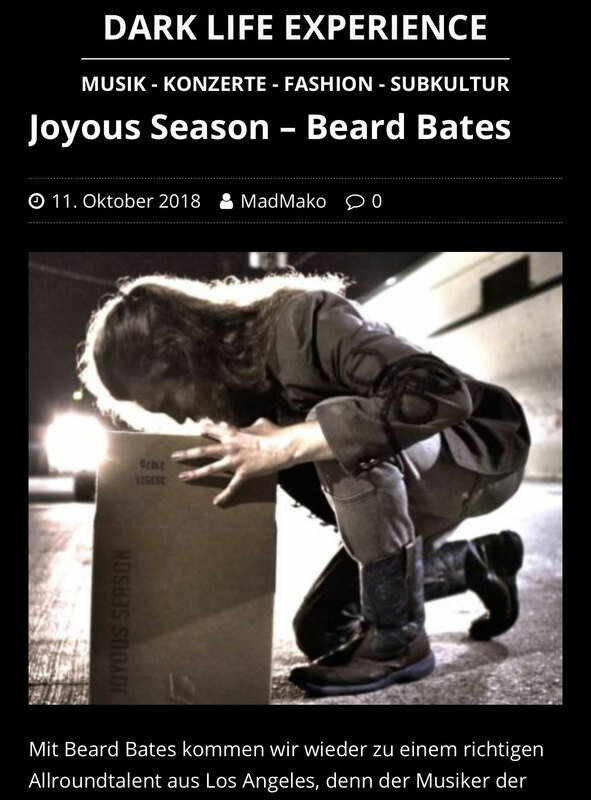 This alternative rock, psychedelic western track was recorded in collaboration with The Real Spooky Wilson, an outfit that features Bates, drummer Kevin Figueiredo and bassist Chris Mckee. It’s hard rock meets country, and it surprisingly works well. 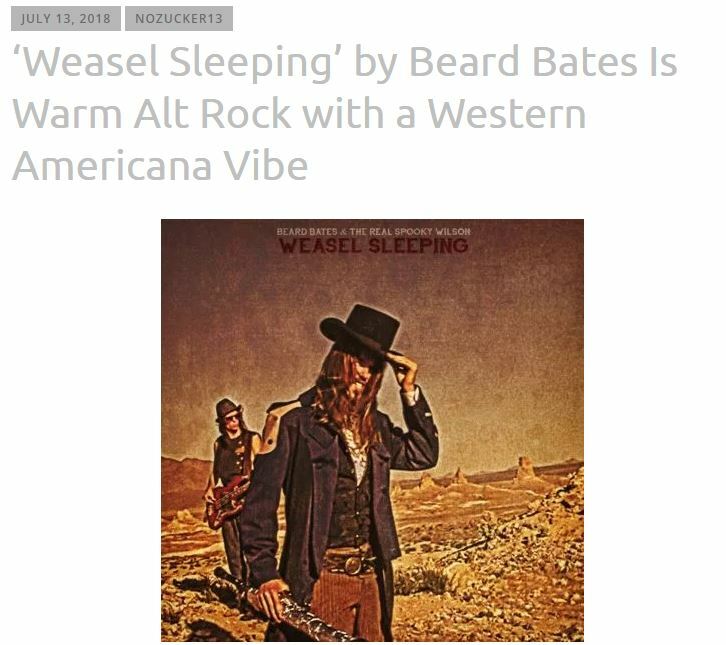 Usually this sort of stuff ends up sounding very post-grunge (not always great in our opinion), but Bates has managed to avoid those trappings, and Weasel Sleeping makes for a fantastic listen. There’s also something that reminds us a little of the so-called ‘desert rock’ artists such as Queens of the Stone Age, with a psychedelic element running throughout the track. 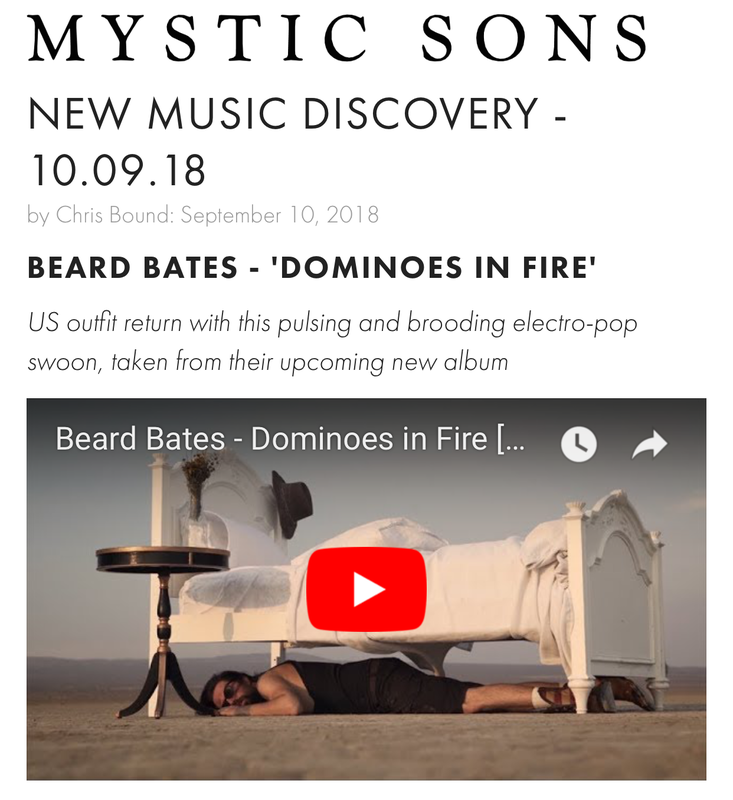 Beard Bates’ music is a little different to the rock norm – take a listen below and find out for yourselves! 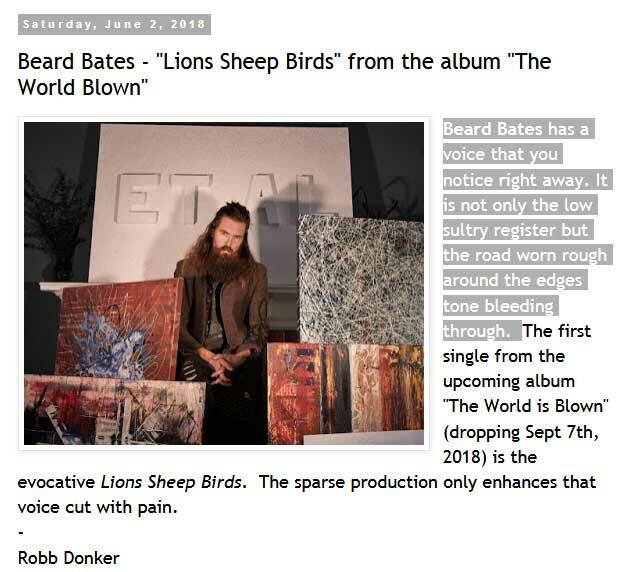 “Beard Bates sounds like if Brad Roberts from the band Crash Test Dummies woke up and met up with Scott Weiland from Stone Temple Pilots and decided to party. A weird way to start a review, but trust me it’s true. 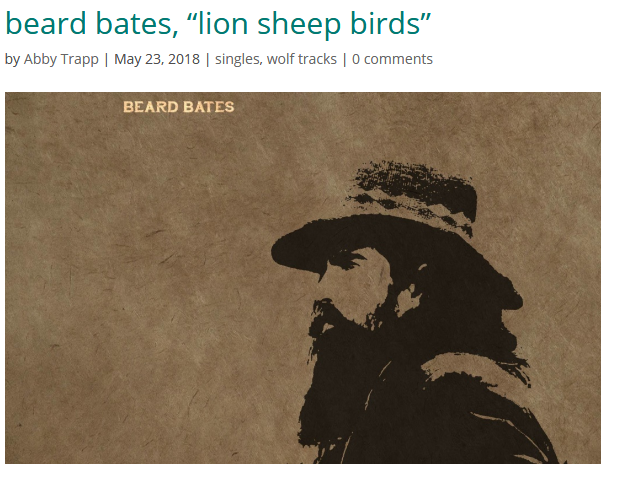 Beard Bates has enough musical talent to fill a sextet, production skills that defy lofi, and a head swimming with ideas. At 70-plus minutes, Lightyear’s Tightrope shows a man clearing his head of what sounds like years worth of musical notions. 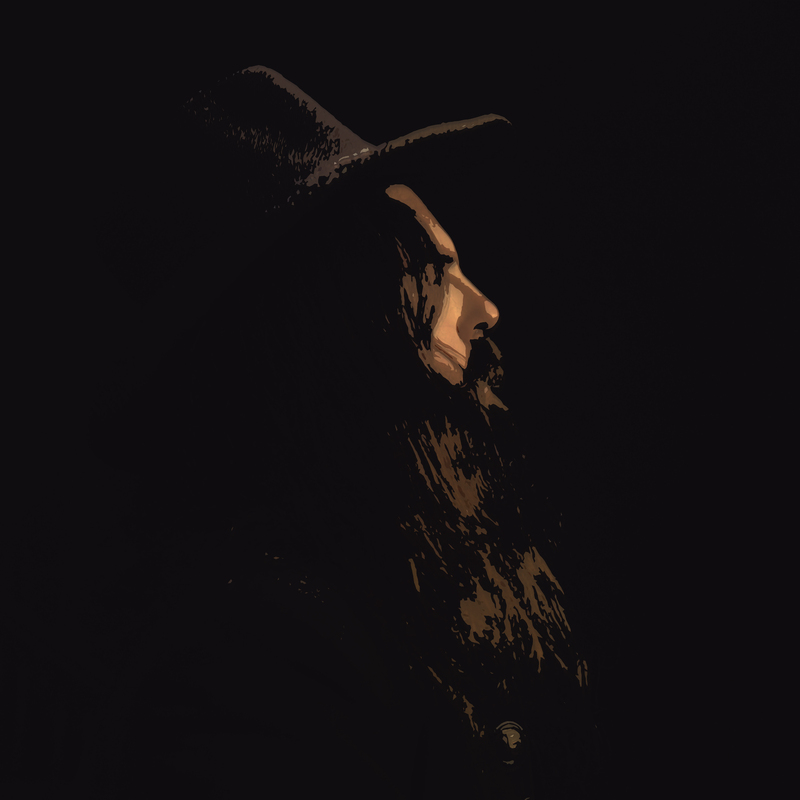 He bounces between acoustic alt-rock and electronica, dabbles in bluegrass and raga and even strays into Tiny Tim territory on the excellent “Older Woman” which is my favorite track. In a quirky falsetto, Beard takes on the persona of an old lady in a garden reminiscing about youthful romance. What sounds on the surface like a novelty tune turns out to be the most sentimental and melancholy song of the set. “I’m an asteroid, built from broken toys…. 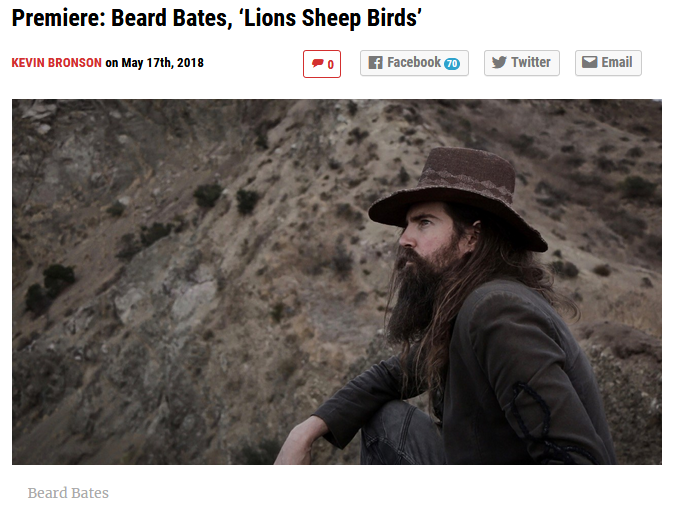 Born in Virginia, Beard Bates begin writing songs around age nine when he learned basic guitar chords on a tiny guitar his grandfather, a consummate craftsman, made for him. 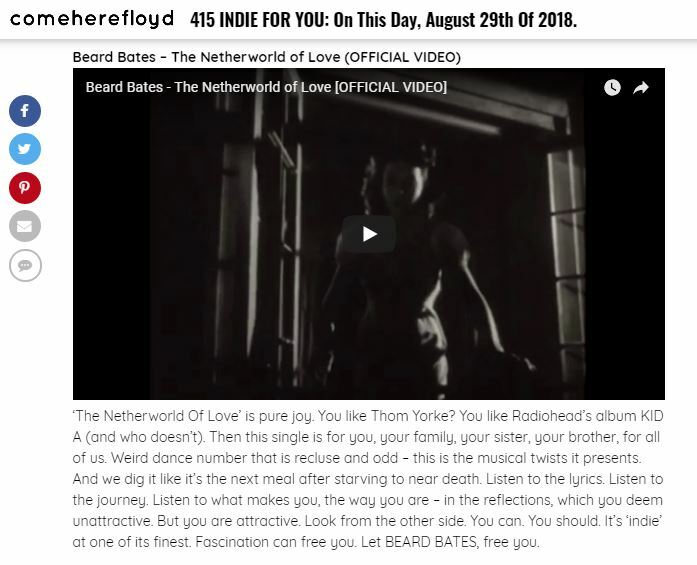 Beard never really learned other people’s songs, for “at the moment I would begin to learn a song, creative ideas would excite me too much and I’d end up just spontaneously writing my own songs,” he states, “and for this reason I was always just playing my own music.” In early highschool, his drummer brother Carter and he formed the alt-rock band JilFlirter, which ended up doing well in college music radio, garnering national attention and was even featured on the cover of Billboard Magazine. 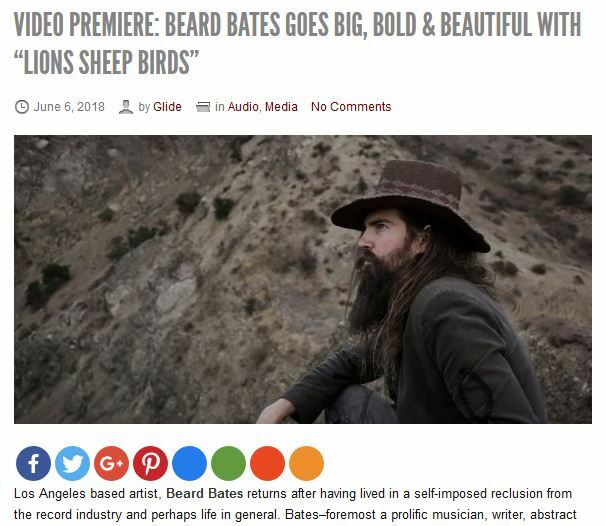 Despite record deal offers, Bates, a serial-DIY enthusiast, decided to stay independent and JilFlirter released four further albums; however, there was little to no promotion behind further releases. Bates studied English Literature in college and subsequently began writing novels, short-stories and much poetry; he did well in college—-graduating second in his class, being awarded many scholastic awards, as well as being nominated for the Rhodes Scholarship. 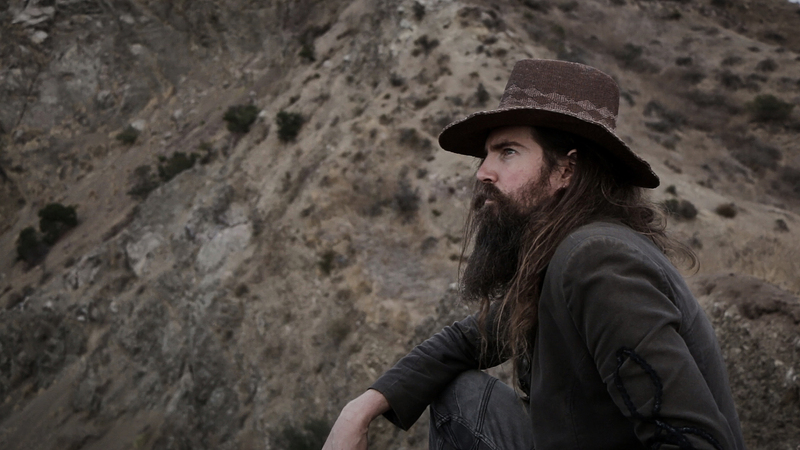 Beard did release his first solo record “Lightyear’s Tightrope,” a raw and lofi collage of songs recorded above his parent’s garage, in 2002, and this record received positive reviews and press. 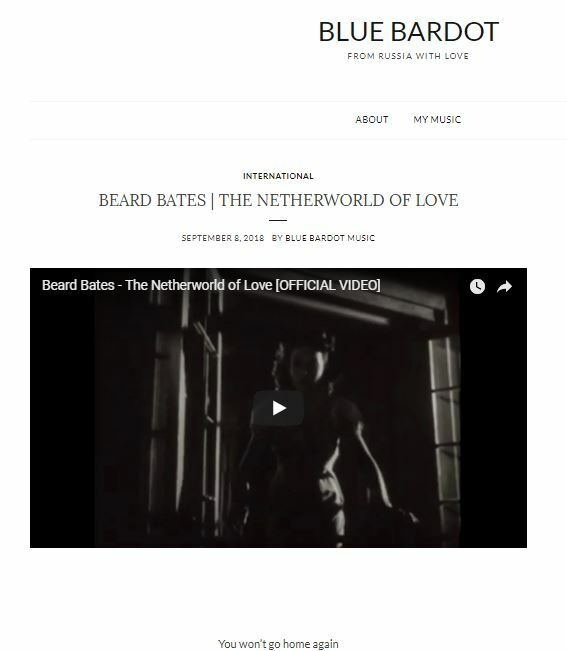 Bates then moved to London, where he ended up entering a graduate program and was subsequently trained to be a contemporary art curator from The London Consortium (Univ London, TATE Modern, ICA); upon returning to the US he again began making music, this time more in the alternative/psychedelic hip-hop realm. Taking production cues from the local VA Beach music scene at the time, he picked up guidance from engineer friends who were working for local producers The Neptunes (Pharrell Williams / Chad Hugo) and Timbaland; at this point Bates built a new home studio and began crafting eccentric rhythmic funk, under the name J.J. DeVille, that perhaps blurs a line between Outkast, Frank Zappa and Beck. 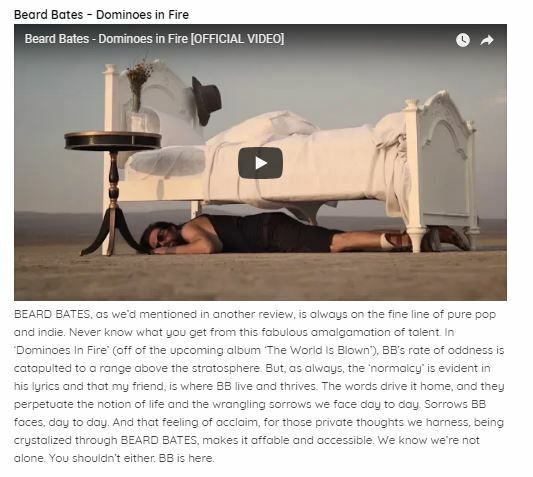 Two records were released, yet there was no promotion, and in 2006 Bates moved to Los Angeles and then released a third DeVille record. 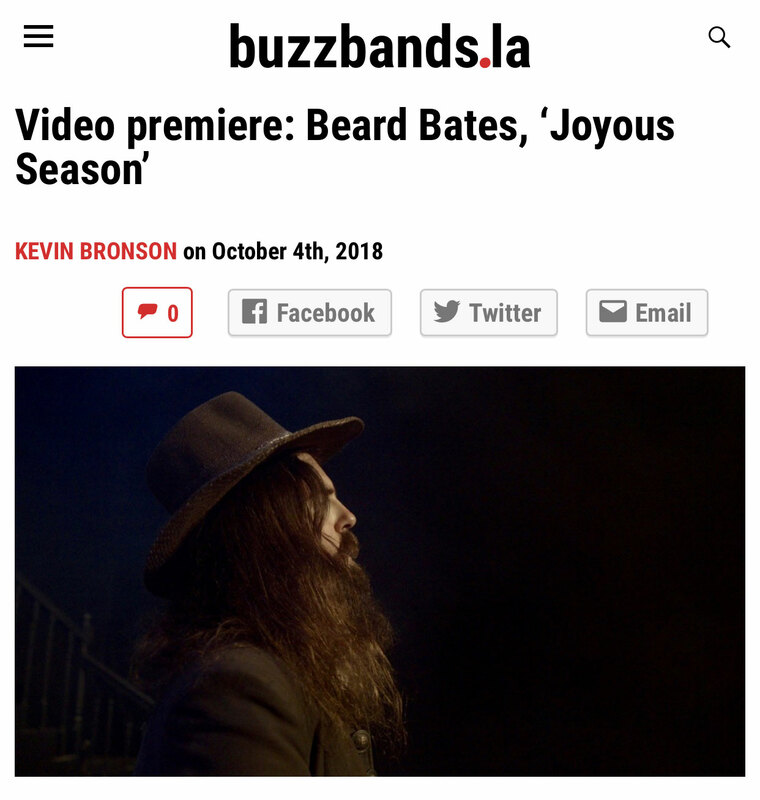 In LA Bates ended up fronting and rewriting songs for a psychobilly space-punk band that became known as The Virginia City Revival; this band was made up of players from Bottom 12—popular LA-punk outfit from the 90s–Haunted Garage, and FEAR. The Virginia City Revival released two records, was featured on MTV, has music in Jackass Video games, played extensively around Los Angeles and the Southwest, and even pulled wacky stunts (thanks to the JACKASS member of the band) like crashing the NME awards in drag on a flatbed. During this time, Beard was a member and producer of the band Serial Miller, which released one record; he also formed a band called The Real Spooky Wilson, which recorded one unreleased record, with his bassist roommate and the drummer of Extreme and Perry Ferrell’s Satellite Party. He then garnered renewed industry interest in some of his eccentric rhythmic music and thus recorded a new album, under a new name, for this act, which despite having industry heavyweights involved fissled out. 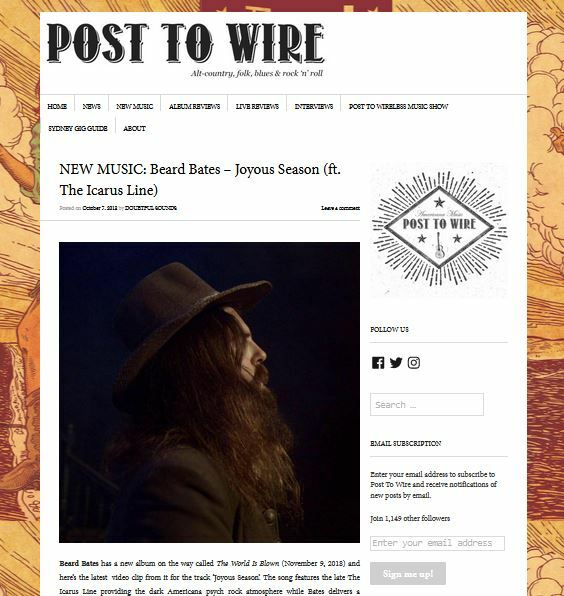 Over the past number of years, Beard has not been playing or putting out much “popular” music, mainly because he has been focusing on ambient recordings, nature field recording, and creating much abstract art; however, he has done a collaboration with the LA posthardcore band The Icarus Line, which will be released on Bates’ new record, a collaboration with LA artist Jonny Polonsky, and he released a large collection of iPhone demo recordings in 2016 titled, “Spontaneous Acoustic Songs of Digital Capture by iPhone 5 (2012-2016),” as well as a number of singles, including the campy “Girls in Amish Undertaker Hats” in 2015. 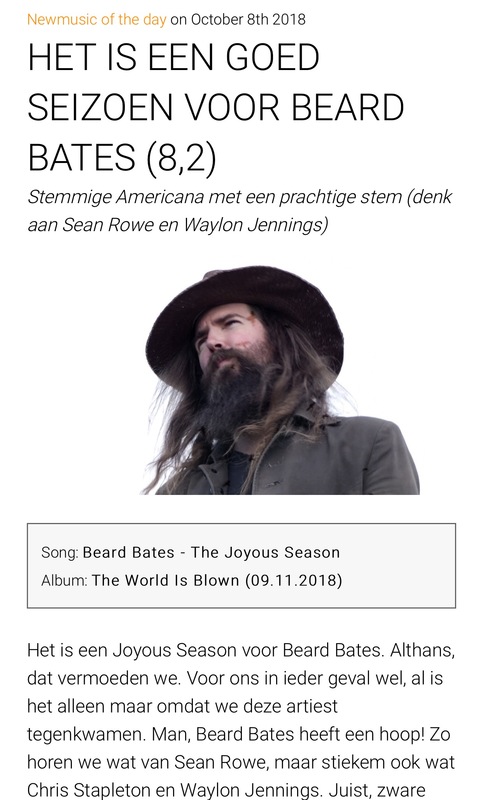 2018 marks the return of Beard Bates as the solo artist with the release of “The World is Blown,” his first full length record in many years, which itself is a collection of unreleased songs from a span of years.